Find a vacation home to rent in Modum Municipality from our list of vacation rental properties. Campaya has over 4 vacation homes available in Modum Municipality, which give you the possibility to locate a unique accommodation in Modum Municipality which completes your check-list in search for the perfect self catering vacation apartments in Modum Municipality or vacation villas in Modum Municipality. Log cabin with cosy furnishings, located about 40m from N37053 and N37054. Lovely situation on the west side of the Holsfjord, which is a branch of Tyrifjord lake. View of the lake. Log cabin with cosy furnishings. Lovely situation on the west side of the Holsfjord, which is a branch of Tyrifjord lake. View of the lake. 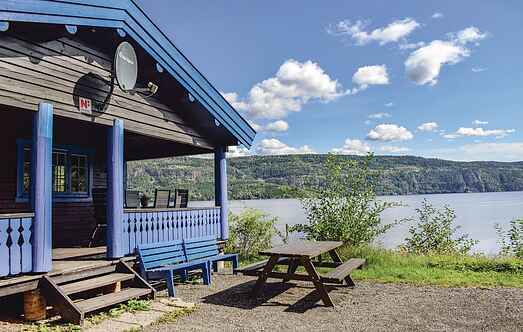 The beautiful holiday house offers a gorgeous view of the Tyrifjord. Blåfarveverket, Vikersundbakken und Kobaltgruvene (Cobalt Mines) are not far away. 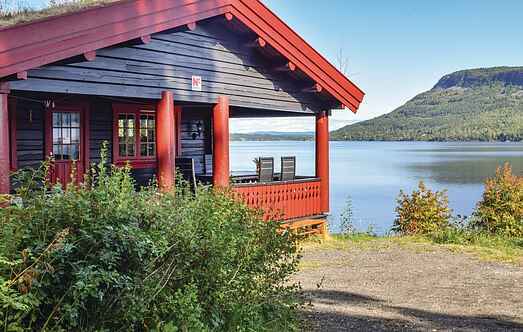 Traditional log cabin with panoramic view over Vikersund & the lake Tyrifjorden. Fishing & swimming in the summer; skiing in the winter. Hiking terrain. Skis can be rented.